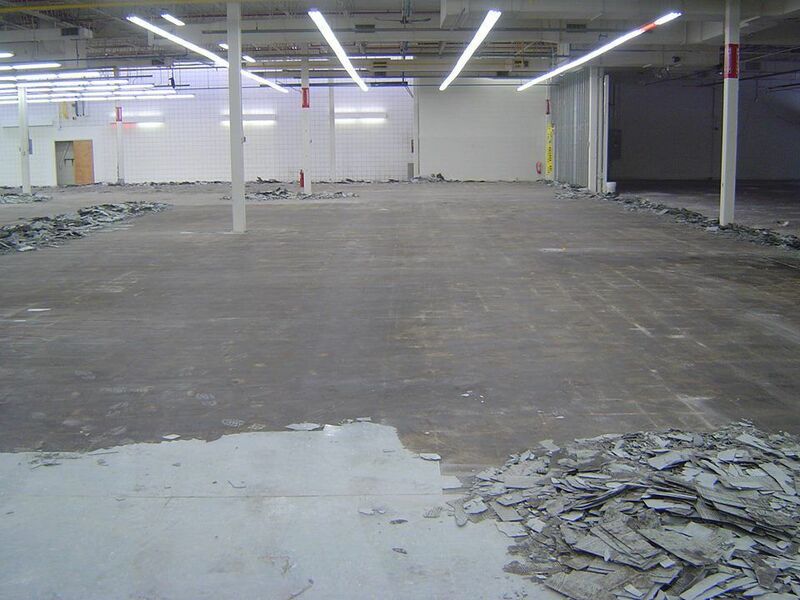 Concrete & Prep Repair Services - New England Surface Preparation Inc.
We specialize in joint seal and repair, shot blasting, scraping, scarifying, concrete shaving, diamond grinding, self-leveling underlayment and moisture mitigation. Repairing concrete floors with our industry standard products ensures a quick and easy fix that will restore your structure’s integrity for many years to come. 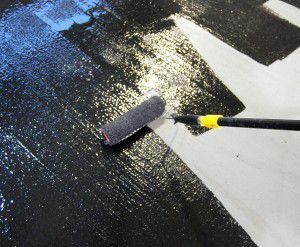 Whether it’s a joint spall or a surface defect you need to repair on a polished, stained or colored floor, we have a product for you. 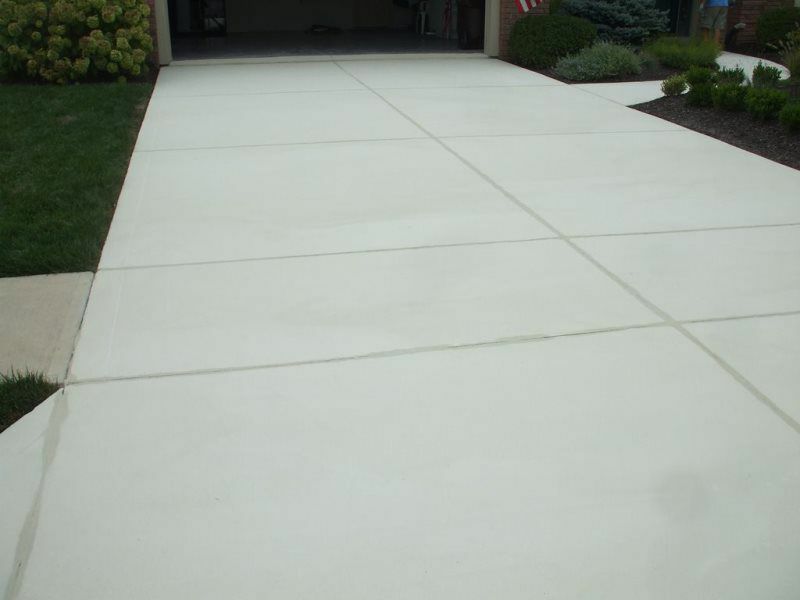 We specialize in shot blasting horizontal concrete surfaces. Shot blasting is the process of shooting beads of steel “shot” at a high velocity speeds to blast away unwanted materials. These can include paint, mastic, concrete, etc. This removes contamination and laitance (soft concrete) to reveal a mechanical profile for improved bonding. Diamond Grinding employs diamond embedded metal or resin pads mounted in a horizontal wheel. Typically used in successive grit abrasion levels to accomplish the desired finish ranging from high polish to a honed surface. 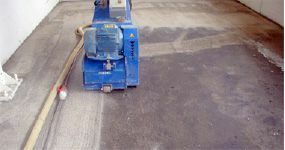 These machines work in similar ways incorporating vertically mounted rows of circular diamond blades to remove concrete. Width of blades can be adjusted to create various width patterns. 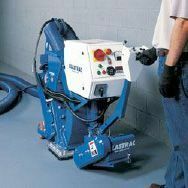 A concrete shaving machine is often used to create non-slip grooves in existing concrete walks, floors and ramps. 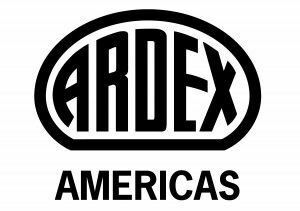 ARDEX provides a comprehensive line of world-class substrate preparation systems. ARDEX K 15™ Self Leveling Underlayment remains the most specified underlayment in North America and ARDEX Feather Finish™ continues as the gold standard for patching cement underlayments with proprietary self-drying technology. 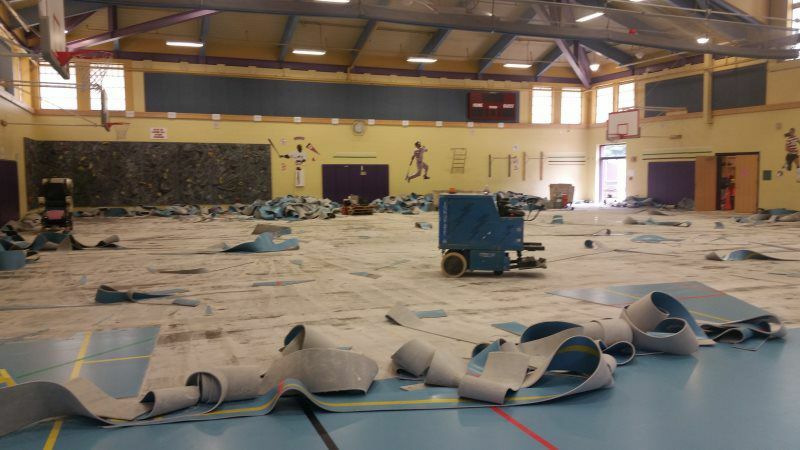 A properly installed moisture barrier will keep moisture from passing through the flooring adhesive and releasing the finish-flooring surface. New England Surface Preparation is an authorized Koster installer and also installs Ardex products.